For the second year in a row, the best of the best are packing their bags and flying to the West Coast for the most exclusive tournament in USQ history. 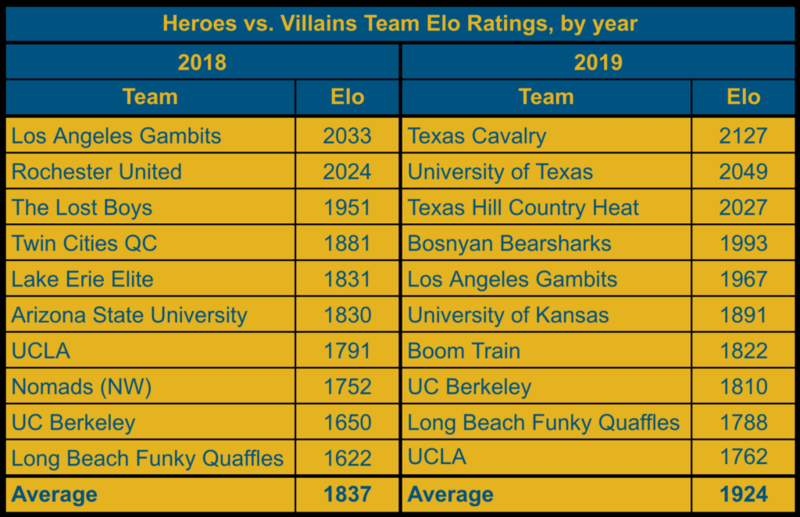 Last year, we wrote that the Heroes vs. Villains Invitational was, in all likelihood, the highest-caliber tournament of its size–based on average quality of team–to have ever occurred. This year, the tournament will, without a doubt, earn that honor again, dethroning its 2018 iteration for the title of most-competitive tournament ever. When adjusted to our modern Elo algorithm, the average team Elo rating at last year’s invitational sat at 1837. 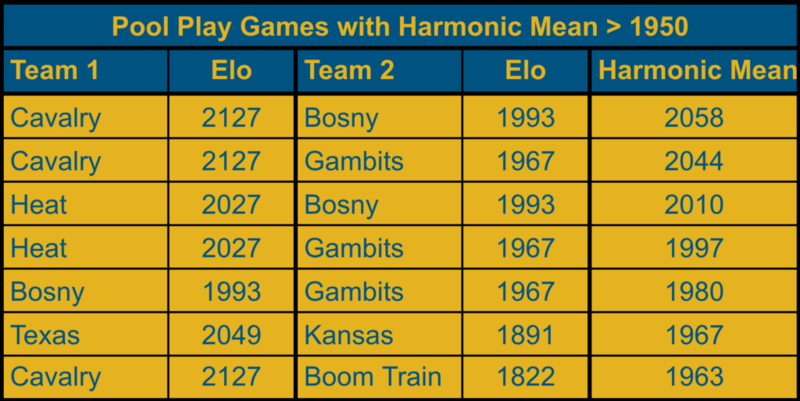 This year’s tournament’s average blows that out of the water, featuring teams whose average Elo rating is 1924–a rating only currently surpassed by 10 teams in the country. Last year’s nationals, despite bringing every top team in the country, had an average team-Elo rating of 1660. While this year’s invitational will not feature every potential contender for the national title, it still boasts five of the top 10 teams in the country, including Elo’s No. 1 overall Texas Cavalry and No. 1 college University of Texas. Generally “invitational”-named event in quidditch often lack the prestige or relevance to be able to attract such a high caliber of teams, or the selectivity to ensure their concentration, but this year’s Heroes vs. Villains Invitational is able to live up to its name (specifically, the invitational part of it) by attracting the highest caliber grouping of teams we have ever seen. Those who claim that Nationals could be more successful as a more selective event should narrow their focus on Heroes vs. Villains, and whether after a bumpy start in its first year, it can continue to build on its prestige as the highest-caliber tournament in the sport.